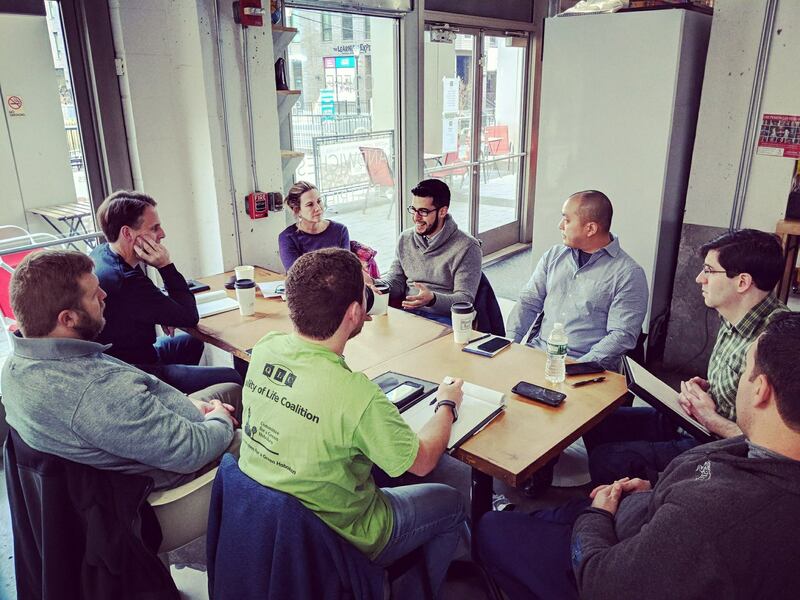 When asked why I decided to run for mayor, I told a local blogger that over the years I’ve seen that in politics “if we’re not at the table, we’ll most likely be on the menu.” That we need more activists to run for local office, because we’re focused on transforming people’s frustrations into real solutions and not in playing establishment politics. I am proud to have kept a positive campaign and to have taken the first step to a better way of doing politics in Hoboken. On September 15, 2017, a woman pushing two children in a stroller was struck by a car on 5th and Monroe Street. The kids are fortunate to be safe but we can no longer leave this to chance. This occurred only two blocks away from a school, an area that’s supposed to be safer because of the children; it can happen to any of us. 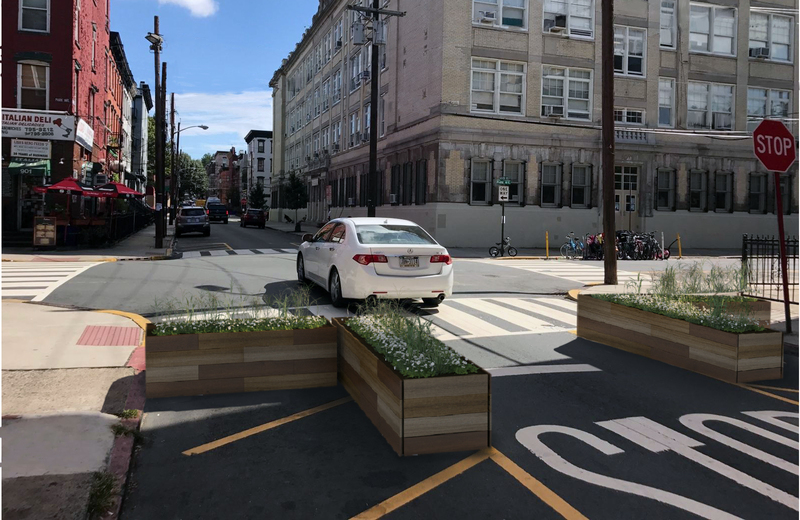 Create drop-off and pick-up zones in the middle of the blocks surrounding Hoboken schools, making parking more reliable and avoid dangerous parking on corners. Shorten crossing distance to reduce the time kids are exposed to traffic in school zones. This can be done by placing community garden plots at the street corners (see picture). 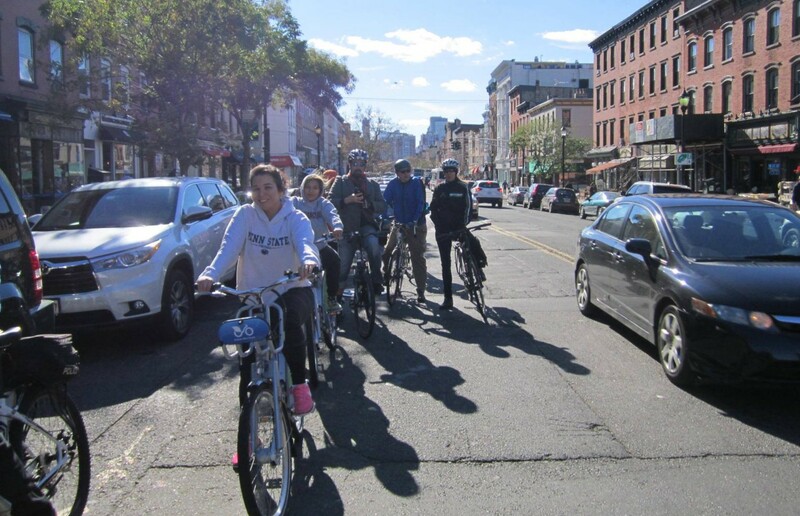 Create a protected bike lane network that connects all school zones in Hoboken, separating biking kids from motor vehicle traffic. Joining the international conversation about cities in Quito this fall. On October 17-20, 2016, the world’s leading urban thinkers, advocates, policymakers and officials will be converging in Quito, Ecuador, for the United Nations Conference on Housing and Sustainable Urban Development (Habitat III). It will be the first time since 1996 that the international community will come together with the explicit goal of determining a global strategy to increase resilience and equality in cities around the world. 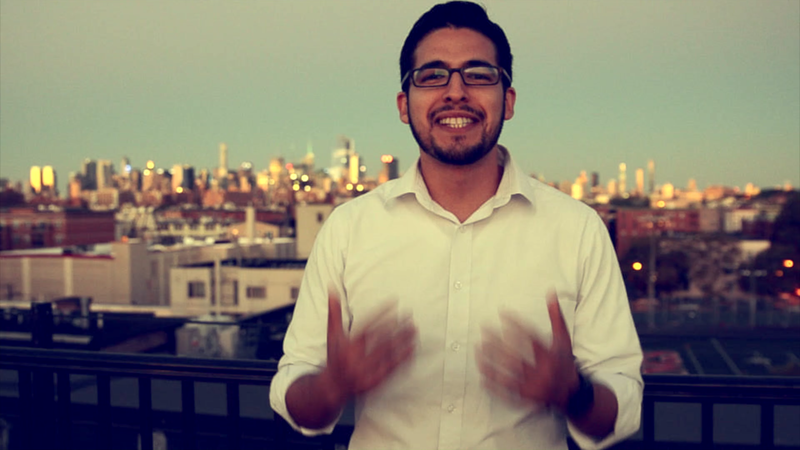 This video will be included in the dialogue about the future of cities. The World Stage by Next City will be the premier hub for conversation about the future of cities during Habitat III. A publicly accessible exhibition space and gallery designed by the award-winning social design collective Proyecto NN, the World Stage is where international experts and urban leaders will gather to engage in dialogue about the UN’s New Urban Agenda and learn about the strides toward increased resilience and equality being made in cities around the world. Our video will be used on Next City’s World Stage, and it’s our opportunity to address leaders from around the globe with our ideas about the future of cities. Note: Although I did not get selected to be a speaker, our vision for 2030 will be part of the dialogue towards a “New Urban Agenda.” Thanks to Next City for having me among the 4 finalists, together with Anwikshika Das of the Humara Bachpan Campaign (Bhubaneswar, India), Tatu Gatere of the Kounkuey Design Initiative (Nairobi, Kenya), and Trace Lane Chaplin of the University of Washington (Seattle, Washington).